We have seen around our peer group how social media has made an impact on our lives. Apps like Facebook, Whatsapp, Twitter, Instagram and Snapchat are making users more engaging towards the social media. Due to the increasing popularity of social media apps everyone is looking to develop one. 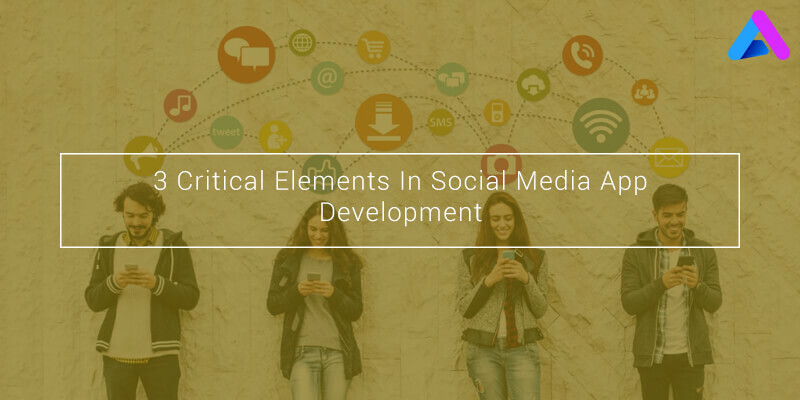 If you are also looking forward to develop a social media app, then you should possess a clear idea about the whole social media development process. Before we explain you the steps to develop an app, let’s have a look at what actually a social media app is. What is a Social Media App? These are the apps that allow people, organisations and companies to create, exchange and share information over a network of people. For example, people can post or share pictures, videos or they can express themselves through the social media mobile apps. Mobile Apps are virtual communities where people create an account, fill in their details and login. Some of the examples of successful social media app are Facebook, Twitter, Instagram and Snapchat. They connect users with people, groups and communities already present in that social media network. The social media mobile platform is described by understanding the 3 fundamental features of which are profiles, feeds and connections. 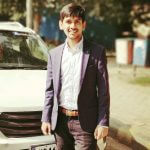 The best way to create a user profile is to connect the app to an existing social media account through which the data can be retrieved. Another approach is signup process where you can fill in your user updates by entering your email id and password but this requires more effort which nowadays users don’t usually like. The social media app that you are developing should be capable enough to share photos, videos and status updates. You just need to upload, share the contents and specify the target audience which you want reachout to. It is a option which lets you know what people are doing or at what place they are. This is done by tagging your location to the post or you can find people who are in nearby locations and can socialise with them. The data is received through a location based API which retrieves a particular location from your mobile network provider. Connection can be in the form of content, group, event, social network, SMS, address book, search and recommendation. Content connection is totally dependant on the user. User could be a traveller, reader or enthusiast. Groups are the communities where people are connected to chain at a large scale. These create an additional advantage in social media mobile app. Sending invites for an event or selling event tickets is another way that may help you earn money through social media app. It also helps in growing connections in the social media domain. Developing a social media app is one of the most happening thing today but understanding the social media and your target audience is of utmost importance. If you are looking forward to develop a social media mobile app, AppInventiv is the most viable choice for the same. AppInventiv is a top rated app development company with expertise across all the major mobile platforms including Android and iOS. Our team at AppInventiv has worked in the field of mobile app development and having helped clients across several industries with their apps. How did you like our article? Let us know in the comments section below. “Features that Make a Social Media Mobile App Popular!,�? “Boost Your Business with LinkedIn Video Sharing!,�?